Locked Out Of Your Car? 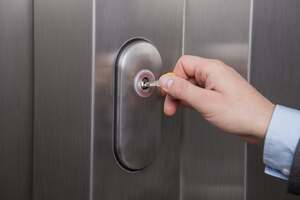 Need a locksmith in Silver Spring MD? Are you a busy individual? Do you get so busy that you often find yourself trying to do several things at once? Then, you might be at risk of locking your own keys in your car. Or, even misplacing them. You might even lose them because you were distracted. But, whatever the reason might be, it can be can a major set-back when you are preparing to go make a pick-up, a delivery or have a meeting or date and you realize that you misplaced your key. You will need the services of a reliable locksmith in Silver Spring, MD, that can meet you wherever you are at any time of the day to assist you with your predicament. This is why we offer 24-hour services for seven days a week, including nights, weekends, and holidays. Whether you consider yourself a composed person or not, in a situation when you are locked out of your car you can panic. It can be very devastating when you know that you are strapped for time and you are stranded. It can be worse if you really don’t know where your keys are. Try not to panic as this can cause further delay and might worsen to the point where you are unable to get the assistance that you need. Call Chiko’s Locksmith immediately and our trained and devoted vehicle locksmith team will take care of you in a jiffy! Our experienced local technicians specialize in all vehicle situations, and they have honed their skills to make you comfortable throughout the whole ordeal. As a professional locksmith in Silver Spring, MD, we assist you to regain access to your automobile – car, van, truck or even motorcycle – within a short time. Connect with us. Our technicians offer several services and a wide selection of customized locks to best fit all of your needs. With details about your car’s brand and model we will know exactly what to do when we arrive on the scene. We will arrive fully stocked with an array of locks, supplies, and tools to serve you in any situation. We can provide you with a key replacement. Or, in the case where your key is locked in your car, our skilled technicians can access your car without affecting or damaging it to regain your key. In addition to a key replacement, some modern vehicles would require reprogramming if the key has been misplaced which we our technicians are certified to do. As a professional locksmith in Silver Spring, MD, we provide you with friendly service and help you to remain calm. We can inform you how long the process would take when you reach out to us and give us all the details about your incident and get to you as quickly as possible. A really good mobile locksmith is always alert and available to meet a client at any time of the day and any day of the week, even if it’s a holiday. So, if you ever become locked out of your car, be sure to remain calm and seek assistance from a professional locksmith – residential, commercial and automotive – and you will be well on your way in no time. We aim to satisfy all our customers and will not rest until our work meets or exceeds your expectations with the highest quality standard!